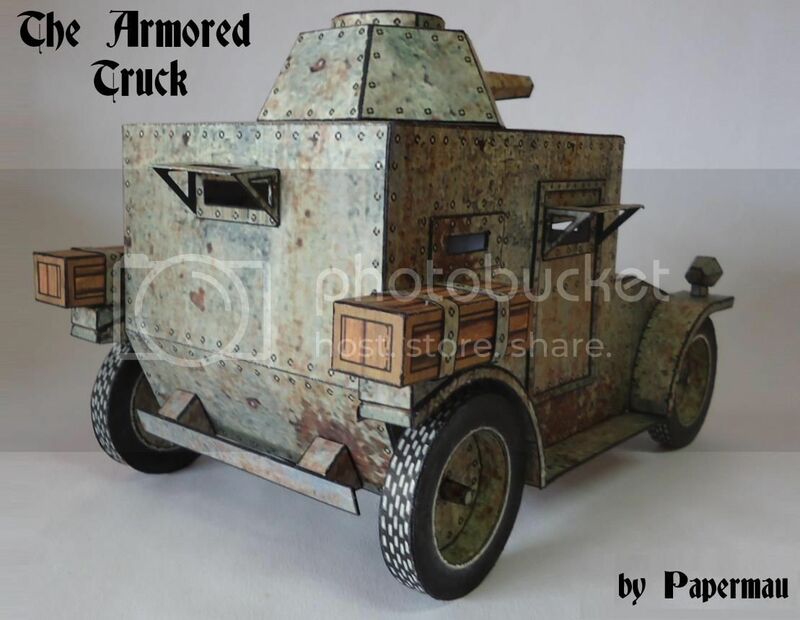 Here is the Old Armored Truck paper model, ready for download! 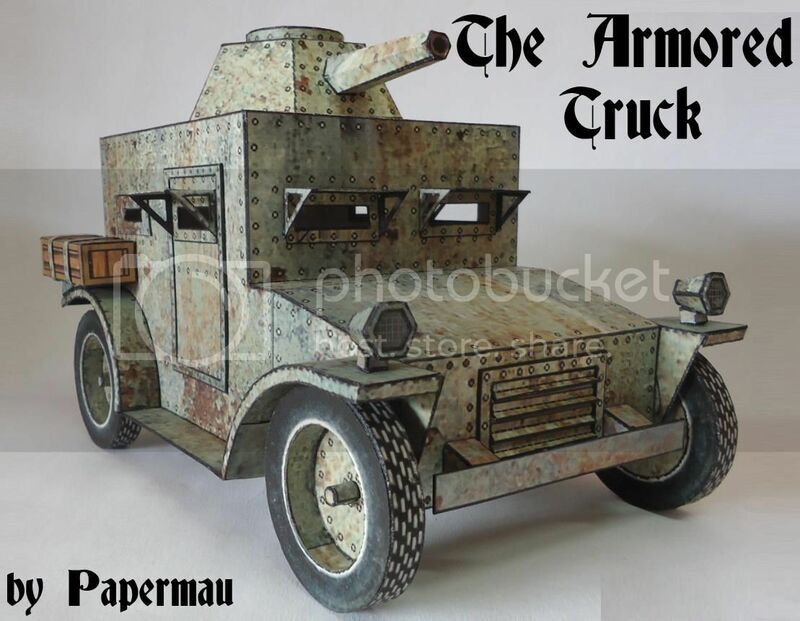 This truck consists of little more than 40 pieces scattered across eight sheets of paper and is not a hard-to-build model. 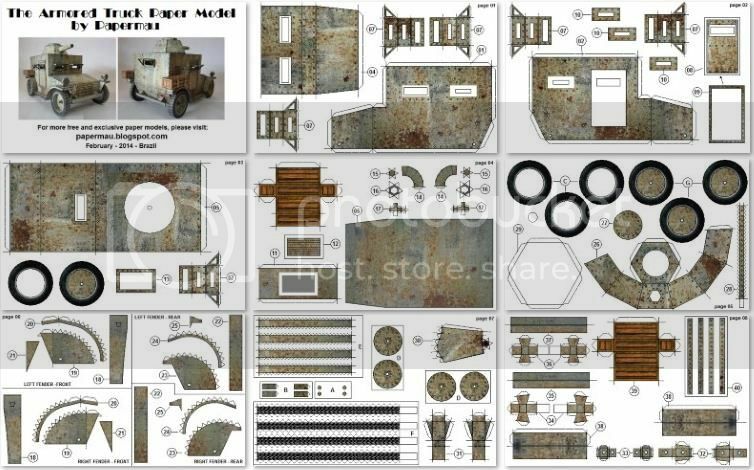 I created detailed instructions full of photos, to help those who want to assemble this model. The approximate scale is 1/24, so it's not a small model. When printed on A4 sheets it measures 23 cms high, 15 cms long and 13.5 cm wide. An unusual very interesting model. Thank you for the beautiful photos.